Fredericksburg, VA Dexter The Dog, and my family were heading to our dog-friendly vacation at the Outer Banks and decided to stay in Fredericksburg, Virginia for the day and evening. Our first stop was the Fredericksburg Battlefield Visitor Center. Although the inside was not dog-friendly, the grounds were. My step-dad is quite the history buff, so he went inside to watch the 22-minute orientation film while my mom, Dexter, and I walked the Fredericksburg Battlefield grounds. It was a lovely site and we had a good time sniffing around. It was a perfect spot to stretch our legs. Dexter particularly enjoyed walking on top of the Sunken Road/Stone Wall. After our dog walk at the battlefield, we decided to do some dog-friendly shopping in downtown Fredericksburg, VA. Dexter was a bit exhausted from his travels, so he strolled in his dog stroller most of the day and walked for short bursts. We were hungry and decided to get a bite to eat at a dog-friendly outdoor restaurant. 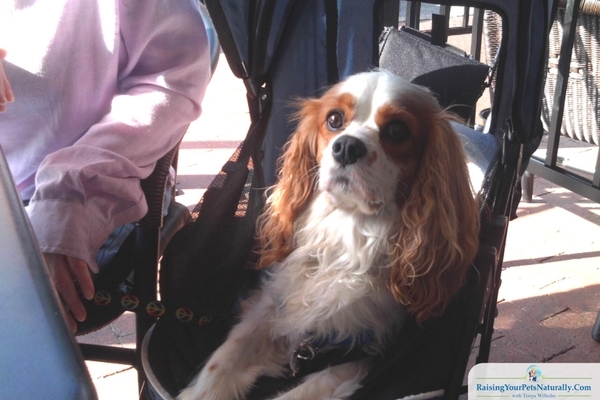 We found Castiglias Italian Restaurant had outdoor seating and welcomed Dexter. This dog-friendly restaurant did not disappoint! The full menu had everything from salads and pasta to hamburgers and even sub sandwiches. I went for the Four Cheese Ravioli, which was amazing. Dexter chewed on one of his filled treat toys. After our family ate, we did a little more shopping (mostly window shopping) and headed to our dog-friendly hotel in Fredericksburg, VA. We had booked a room at Best Western Fredericksburg. The Best Western Fredericksburg had easy access, located just off of I-95. The hotel was conveniently located and close to major attractions such as Kings Dominion® Theme Park and the Civil War Battlefields. The parking was perfect with drive-up rooms and we were able to park right in front of our room. Our dog-friendly hotel room at The Best Western Fredericksburg had two double beds, 32-inch LCD TV, microwave, mini-refrigerator, hairdryer, and an MP3 alarm clock radio. Our room was conveniently located in the back of the hotel, very close to the outside dog potty area. It was very nice to have outdoor access to a big grassy area for Dexter. The dog potty area even provided pick-up bags and a garbage can. The hotel offered a complimentary hot breakfast buffet that included bacon, eggs, yogurt, fresh fruit, Jimmy Dean sausage biscuits, sliced breads, bagels, cereal, waffles, milk, juice, and coffee. It was nice to have breakfast included. They also have an outdoor seasonal pool that we also missed. I would imagine the pool was not dog-friendly, but I did not ask. The Best Western Fredericksburg starts at about $90. We had an additional $10/night pet fee. I would stay in the hotel again without complaining. The price was right, and a good value for an overnight stay. Would this be something your dog would enjoy? Tell me in the comments. The hotel sounds great. It’s great that nice hotels are dog friendly so the entire family can enjoy a comfortable vacation together. Very true. 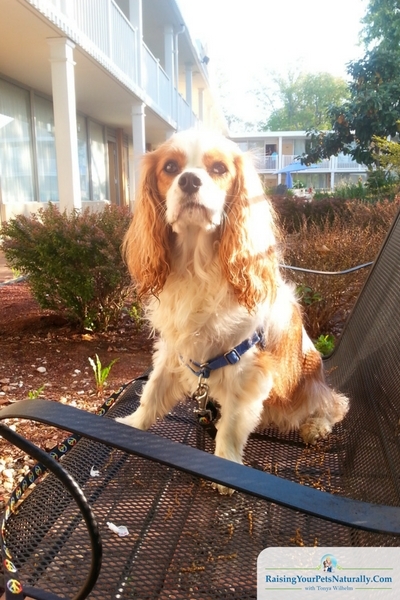 We do our best to be great guests and really appreciate a warm welcoming from a pet-friendly hotel. Sounds like you had a wonderful and educational visit at the Fredericksburg Battlefield grounds! 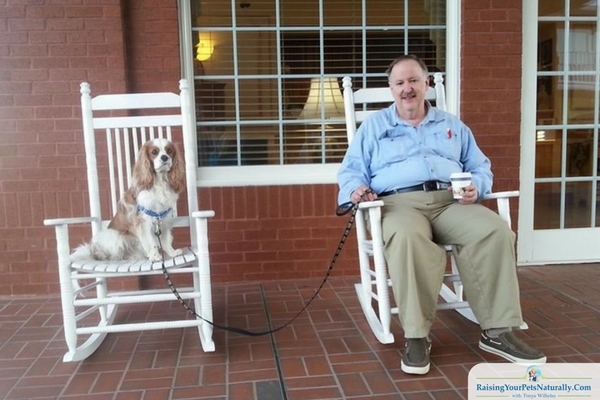 I wish more hotels and restaurants were dog friendly like the Best Western you stayed at. Having easy access from your room to outside is convenient when staying with a dog and the price is very reasonable! Thanks. It’s always a catch-22 for me and being on the ground floor. Great for potty and my special needs dog, but can also be a bit more unsafe. But, this place felt safe and secure. This is great thank you! I am hoping to head to this area with my daughter over the summer after she finishes up a camp in Washington – but I will hopefully have Cleo traveling with me! It is great to know there are hotels that really do embrace having our pets! It helps that Italian is like my fave food ever! Looks like you had a great trip! Sure thing! That food was really good. Fancy too. But they were super nice and everyone loved Dexter. They even helped us move around a bit to get him out of the sun. This is another “on our list” to get to sometime. It’s drivable for us, but long enough to have to make some arrangements, etc. 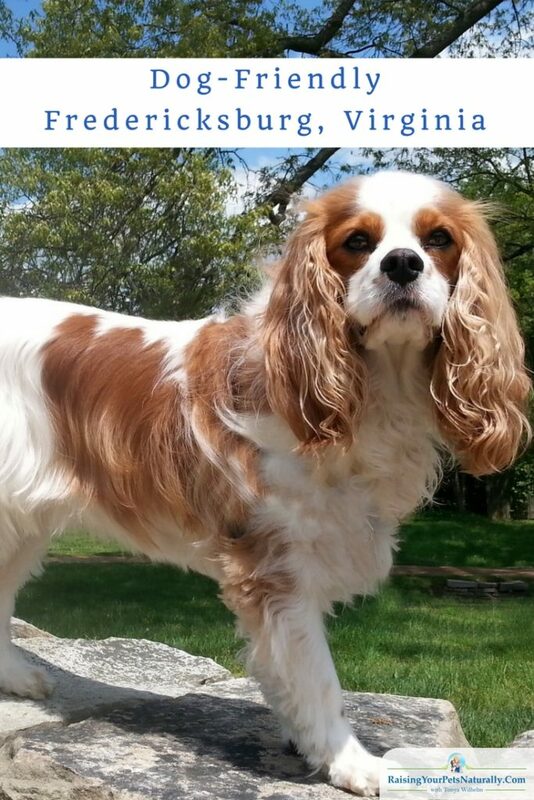 We love hearing your pet friendly travel stories! Thanks! We so love to travel and I have so many to write yet. So, keep reading. Sounds like you all had a fun trip! Finding a good pet-friendly hotel can sometimes be difficult. How awesome that yours only had a $10/night pet fee! Enjoy your trip as you make your way to the Outer Banks! We look forward to reading more about it! Thanks! You can always tell when a hotel encourages or discourages pets by their pet fee. I’ve seen some charge $150 Crazy. What a lovely place, another place I need to add for my next USA visit! You do visit some go0rgeous places don’t you, no wonder Dexter looks happy. Great info! I really should try traveling with my dogs. My sister travels with hers a lot to go to agility competitions. Sounds like you had a lovely trip. Thanks. It’s so much fun! I bet your sister gets to visit a lot of neat places. Looks like you had quite the adventure Dexter. Thanks for sharing and love the candid travel pictures. I really enjoy your travel posts. So many places to visit – I’ve never been to Virginia. Not sure I’ll ever visit some of these places, but it’s sure fun to think about! Fredericksburg isn’t too far from us, so I don’t know that we’ll be vacationing there BUT it’s good to know about possible dog friendly day trip ideas. Sounds like you had a great time visiting. 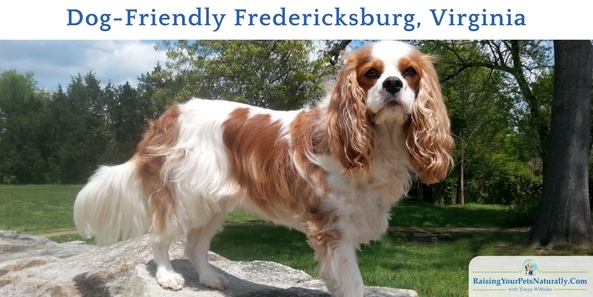 Virginia also has a ton of pet friendly wineries and breweries. I recommend checking some of those out! Thanks, Jessica! We would love to visit Virginia a bit more. It’s such a great State. I am just so happy to keep reading about all these pet-friendly dog hotels and places around the country! It is about time and kudos to Best Western! Thank you for making us aware of a great place to stay with pets and a wonderful place to visit! Thanks, Joely. I really enjoy being able to promote a dog-friendly destination and establishment. I think it’s nice to know a place isn’t a dive! I really enjoy reading about all the dog-friendly vacations you take! We don’t often travel, but I would love to start going on some vacations with our dogs. Thanks, Beth. Dexter and I really enjoy getting out and about and experiencing new places. Even a weekend out would be a treat. Good value with breakfast included. I love the OuterBanks … take a Wild Horse tour (if you haven’t) and visit the Wild Horse Museum and support fund. I love those animals. Likely can’t take the dogs along though. If I’m every in Fredericksburg, I’ll stop here too. We thought about the horse tour. I’m not sure why we didn’t do it. My Mom went to the museum, Dexter and I walked around outside. OBX was one of our favorite places, we hope to do another trip. It’s always nice to find dog-friendly hotels and sites! That’s one of the problems we face when traveling elsewhere. We expect it to be like Portland and it isn’t. We visited Fredericksburg during my daughter’s college tours a few years back. It was such a beautiful town! We loved the main street with all the boutiques and antique shops. I had no idea it was so dog-friendly. A $10/night pet fee seems really reasonable! It was such a great time! It was a bit of a quick trip for us, I’d love to go back and spend more time checking things out. So pretty. What a nice pet friendly trip! We did something similar at Gettysburg, taking the recorded tour around the battlefields and Dolly could walk all around. At the museum Brad and I took turns checking it out while one of us stayed with Dolly. We’ll keep Fredericksburg in mind thanks! Awesome~! Gettysburg would be another great trip. This is so timely for me, as I’ll be driving down to the BlogPaws conference. I’m planning to stay one night somewhere in Virginia, maybe this will work out. I don’t normally like Best Westerns for dog friendly accommodations but this one sounds nice! Thanks for sharing. Sure thing! I can’t wait to see you at BlogPaws!